Our veterinary clinic in Rancho Cucamonga offers a variety of diagnotic and therapeutic services to help your pet feel their best! If you are in need of a trusted animal diagnostic laboratory in California, contact our team today for more information about our veterinary clinic. The ProCyte Dx analyzer, provides a complete red blood cell analysis, in just two minutes. The speed and efficiency of the ProCyte Dx analyzer further enhance the comprehensive real-time care that veterinary professionals give to their patients and clients. IDEXX SNAP® rapid assays have provided fast, accurate real-time results using unique, precise Elisa Technology. 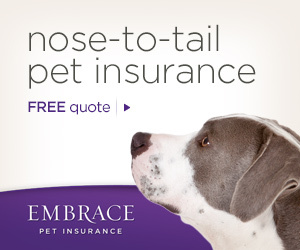 Originally, veterinary professionals could only read the tests visually and record the results manually. 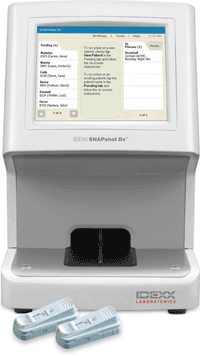 With the SNAPshot Dx Analyzer, practices now have the option to “snap,” or activate, the SNAP Test, load it into either of two ports and let the instrument take care of the rest. The analyzer reads the assay results at the right time and, automatically downloads the data into the electronic medical record—all during the patient visit. Results are then incorporated into the IDEXX VetLab Station’s easy-to-read integrated diagnostic report for a more complete picture of a patient’s health. The SNAPshot Dx Analyzer ensures results are read at the appropriate time and recorded.